We use seasonal flowers and foliage hand-picked from the flower market each morning for our bouquets. If a flower pictured is not available we will substitute this with a flower of similar colour and value. 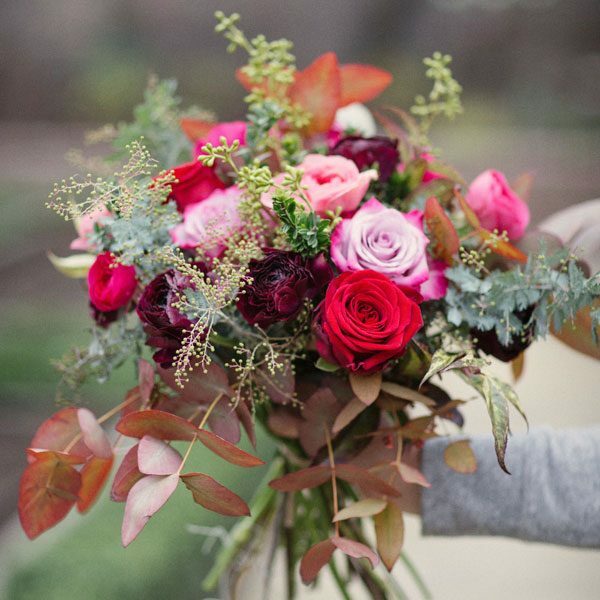 However, if you wish to have a more specific colouring or type of flowers please contact us on 020 8748 9659. Order before 2pm for same day delivery for local addresses (London SW13 & the surrounding areas) & next day delivery across the rest of the UK. You can choose your delivery date on the checkout page. Free delivery to London SW13, £7 delivery charge for SW6, SW14, SW15, SW16 and W6, £10 delivery charge per bouquet for the rest of the UK. Our nationwide deliveries arrive between 9am-1pm on the chosen delivery day. Please note, someone has to be available at the recipient address to sign for the parcel.